Get your child hooked on reading as they meet some of the amazing creatures from the Star Wars Clone Wars series in this eBookStar Wars the Clone Wars Masters of the Force is an eBook designed to engage even the most reluctant reader. 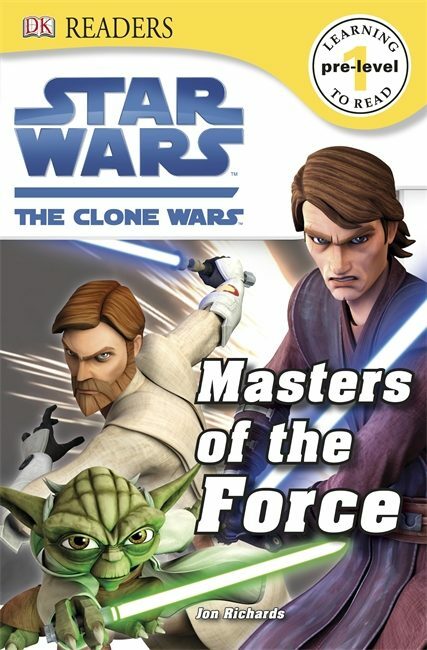 Your child will read all about the Jedi and their amazing abilities in Star Wars the Clone Wars Masters of the Force. Full of amazing characters and action from the Clone Wars universe it's a great way to keep reading fun.Pre-Level 1 DK Readers are designed for children who are just starting to read. They contain simple sentences, basic vocabulary, word repetition, picture word strips and large type, perfect for reading together with your child.Filled with amazing action shots and pictures from Star Wars the Clone Wars Masters of the Force is an out-of-this-world read. And don't forget, there's a galaxy full of DK Star Wars eBooks to collect. Otros ebooks de JON RICHARDS.